I am posting my stuff in English – since the beginning – no idea why? Probably because the things I’m writing about are best communicated in the English language – probably just because I love the English language. However, it is virtually impossible to translate the German word “liebster” (in the sense of liking something the most) into a fitting term using only one word. I chose the word I would have chosen for “Liebster” as the most loved person. 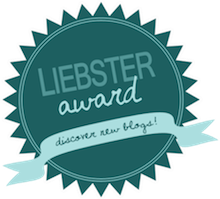 Now, imagine getting nominated for the (German again) “Liebster Award” by your Dearest and she doesn’t mean to give you an award for being her Dearest, but rather to award your blog for being one of the most liked 🙂 – Weird. And even more as there was a pretty long challenge involved – answering a little questionaire – and that challenge was in German, though I write in English. The tagline says it all: It is about the 3rd – already having advanced into the 4th – Industrial Revolution where IT involves itself into our everyday life with constant online-ability, ever faster delivery cycles, things all around us connected to the Internet, mobility, social media, collecting of data, new security challenges, behavioural change, etc. … and many even more funny stuff, too. For how long do you blog? How long did you consider it before actually starting? How long did you consider what your blog should be called? And how to publish it? What’s your goals? I.e. : Why the hell are you spending that effort? Well – in most cases it is no effort. I have no particular goals (yes, I mean, increasing reach, strengthening networking, leaving a trace, giving thoughts – that kind of thing). I am writing when something pops up (“Arse First” – sic! ), hence the comparable rare content for a comparable long timespan. What was the most satisfying (joyous) reaction to one of your blogs? If you’re blogging about your work: What are you doing during sparetime? If your blogging as a hobby: What do you do for a living? How did you decide the language of your blog? How much are you OK with your blog system? Much cursing or no problem at all? OK, I’d say. I still have no clue why (the hell) the new “Contango” theme wouldn’t display feature images anymore – but it doesn’t bother me much. What would you tell someone who wants to start a blog? How much occupied are you with your blog? Right now: A lot. (these questions deserve some thought). Normally not at all – in a way. I would get rid of my thoughts in just another way . The most recent post (not this one -> this one) was done in less than 30 mins. Are you blogging regularly, sometimes or occasionally? Why? Oh! I should have spared some of the implicit answers above for this one: Well – I think the above tells it already: I’m writing when I feel like having something to say. Otherwise, I better shut up. Joker: How are you ensuring a healthy blog-life-balance? Who’s reading your blog and why are they? / Wer liest deinen Blog und warum? What are you gaining by producing content for your blog? What makes it worth it? / Was bekommst du, wenn du schreibst? Was macht es für dich wert, zu bloggen? What’you love the most to write about? / Worüber schreibst du am liebsten? What are you reading? / Was liest du? How much in your blog is “private” life? How much is job life? How much is mixed? / Wieviel in deinem Blog ist aus deinem Privatleben? Wieviel aus deiner Arbeitswelt? Wieviel ist gemischt? What other public appearances do you maintain (like e.g. facebook or TED talks)? / Welche öffentliche Präsenz hast du sonst noch (z.B. facebook Profil oder TED-Talk Auftritte)? What was the most embarrassing thing that ever happened with or by a blog post of yours? / Was war das Peinlichste, das dir je mit einem oder durch einen Blog Beitrag passiert ist? When was the last time that you sang a song (in the shower or on a stage)? / Wann hast du das letzte Mal gesungen (egal ob in der Dusche oder auf der Bühne)? How many devices do you own and which? / Wieviele technische Geräte besitzt du und welche sind es? Do you only use the web interface on your PC to blog or do you also use your mobilephone, email-2-blog, …? Benutzt du nur die Weboberfläche am PC, um zu bloggen oder auch dein Handy, die eMail-Schnittstelle, …? Joker: Are you on your own, live with your Love, have a family or still reside at your parents’? / Lebst du alleine, mit deiner/m PartnerIn, mit deiner Familie oder immer noch bei deinen Eltern?